This is it. 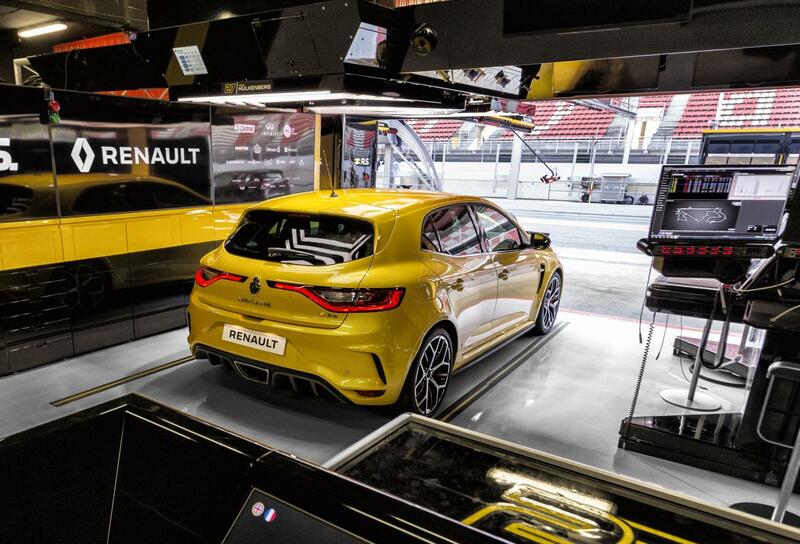 The most powerful Renault Sport production car ever. Hot hatch fans will be drooling profusely to get their hands on this, the 2019 Renault Megane RS Trophy. 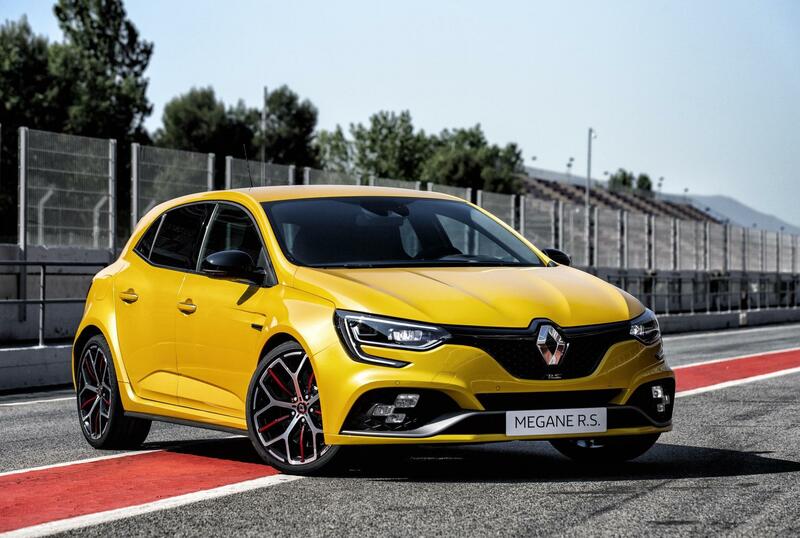 Renault revealed the regular new Megane RS earlier this year, and it is scheduled to go on sale in Australia in September. 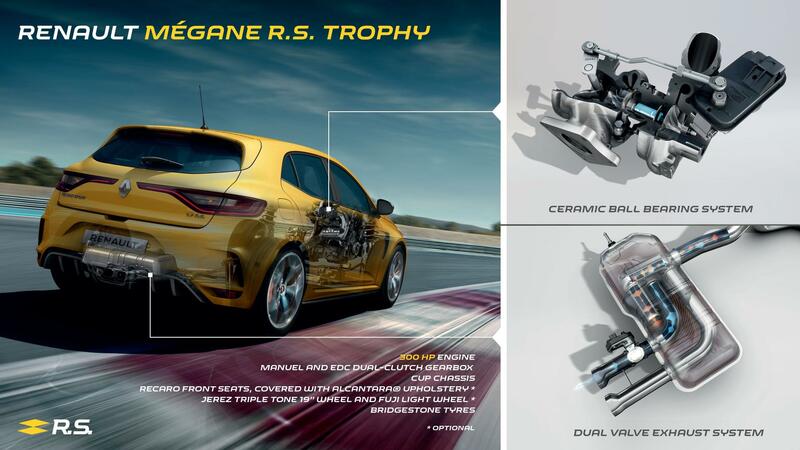 However, the Megane RS Trophy is a different beast. Under the bonnet is a 1.8-litre turbo four-cylinder engine, similar to the unit in the regular RS, but the power is turned up to 220kW and 420Nm (400Nm for the manual version). At this output, it’s a nice jump up from the regular model’s 205kW/390Nm output, but also it puts it in the direct firing line of the 228kW/400Nm Honda Civic Type R. Renault says the engine was developed thanks to synergies via the Renault-Nissan Alliance, and the unit passes the Euro 6d-Temp emissions standard which comes into effect on September 1. 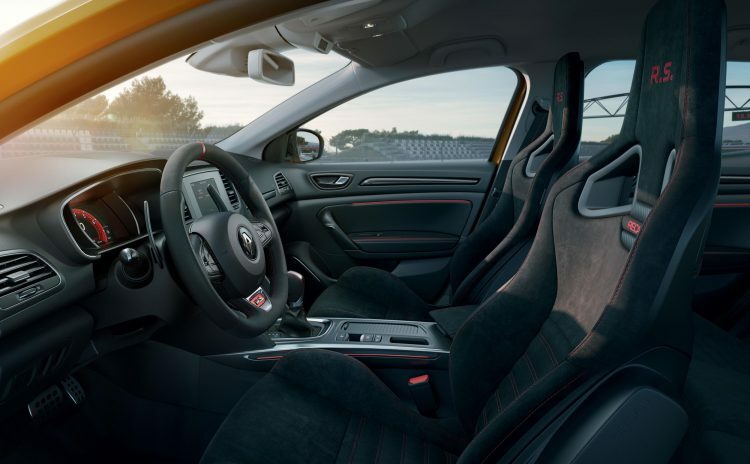 This grunt is sent through either a six-speed manual or six-speed dual-clutch EDC auto, helping the Megane RS reach a broader market than before. After that the power goes into a Torsen limited-slip differential. 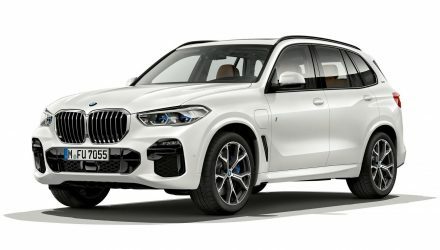 The Trophy comes as standard with the Cup chassis, including 25 per cent firmer dampers and 30 per cent tighter springs than the non-Cup model. There’s also a set of 19-inch ‘Fuji’ light alloy wheels that help to reduce 8kg, combined. 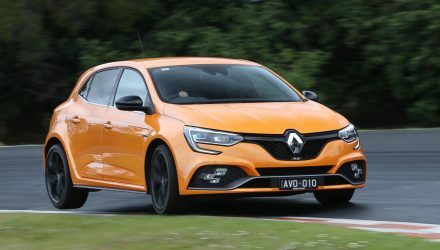 Like the regular RS, the new Trophy uses Renault’s latest 4CONTROL four-wheel steering technology to help with sheer agility in tight bends, but also stability in fast sweeping corners. Renault says at low speeds the rear wheels turn in the opposite direction to the fronts. But at higher speeds the rear wheels turn in the same direction. In terms of straight-line acceleration Renault claims 0-100km/h comes up in just 5.7 seconds. We’ve tested the Civic Type R, regarded as the current front-wheel drive hot hatch benchmark, in 5.90 seconds, which means the Renault could be one of the quickest hot hatches around. It’s unladen kerb weight of 1419kg is just off the Civic Type R’s kerb weight of 1393kg. 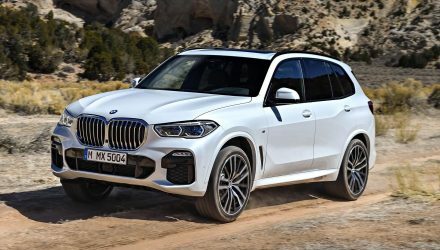 As for the cockpit, passengers are treated to a pair of Recaro bucket seats in the front wrapped in Alcantara. These hard-shell seats use integrated headrests, and Renault says they have been optimised to offer a better driving position than before. 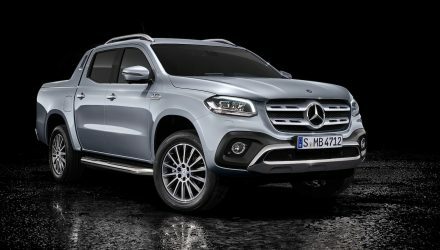 The new model will go on sale in Europe during the third quarter of this year, with the first deliveries scheduled to commence by the end of the year. Renault Australia is expected to launch the model later in 2019.